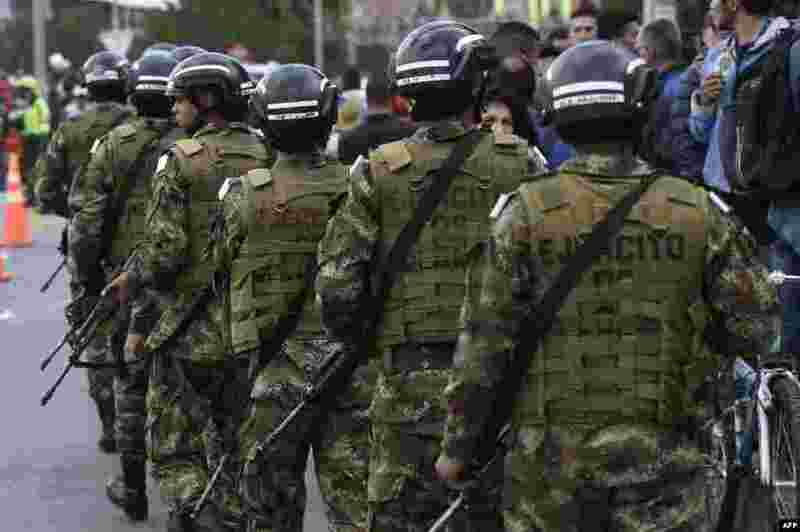 1 Members of the security forces patrol around the site of an explosion on a police cadet training school in Bogota, Colombia, on Jan. 17, 2019. 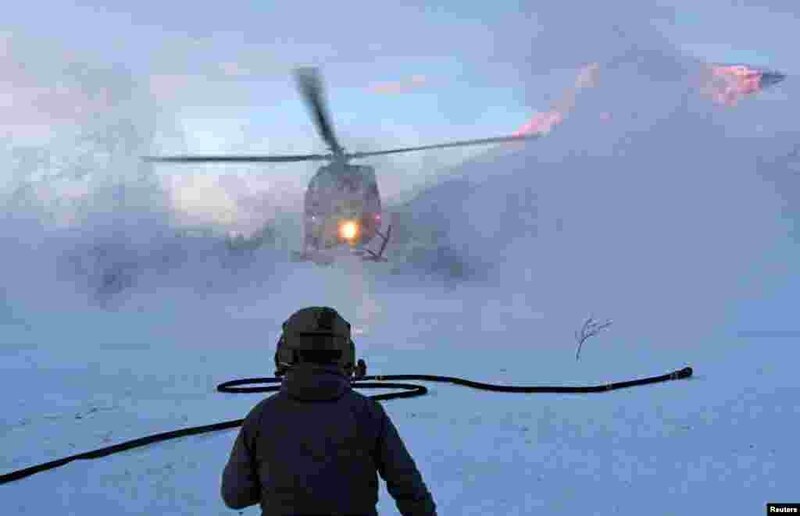 2 A helicopter is seen during the operation to recover remaining bodies of four skiing tourists who were hit by an avalanche at Blabaerfjellet mountain on Jan. 2, 2019, near Tamokdalen in northern Norway. 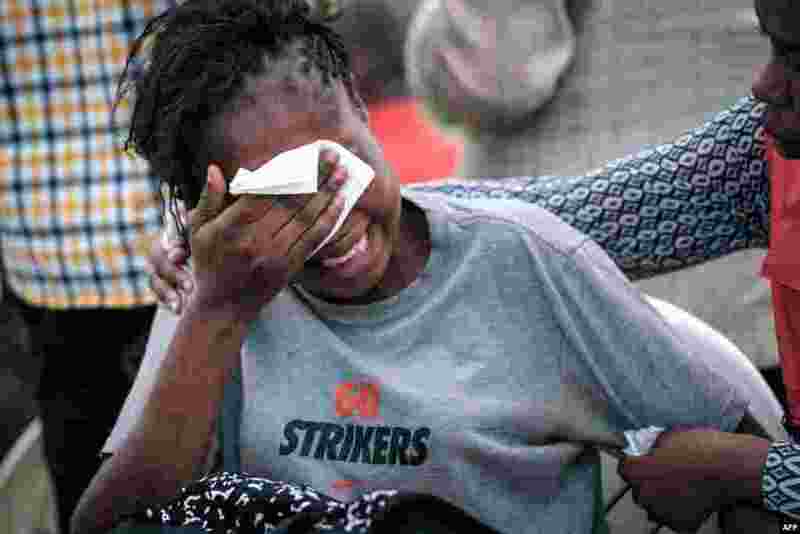 3 A woman reacts at the Chiromo mortuary, where the bodies of victims of an Islamist attack two days prior at the DusitD2 luxury hotel complex are kept, in Nairobi, on Jan. 17, 2019. 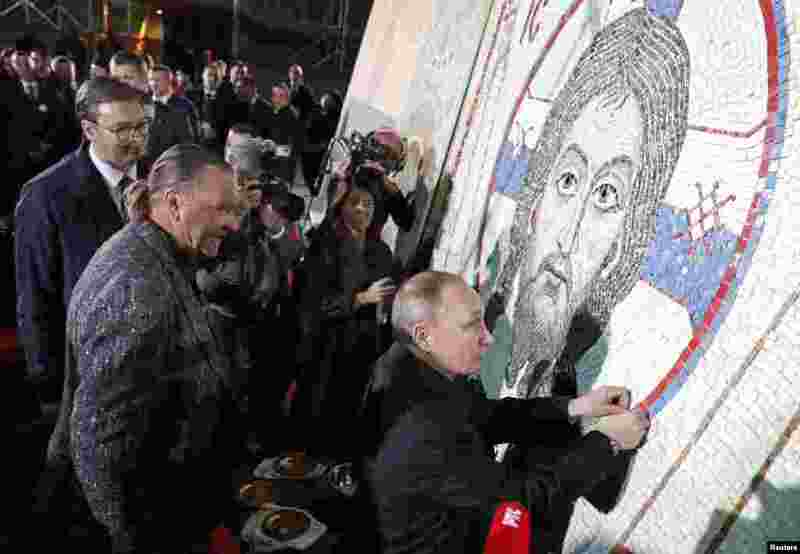 4 Russian President Vladimir Putin finishes a mosaic during his visit to the St. Sava temple in Belgrade, Serbia.